You could easily go online and quickly learn that the answer to what is the half-life of testosterone cypionate when injected is approximately eight days. But it is what you do with that information that is actually going to have any impact on your life, isn’t it? If you are performing some preliminary research on your medical treatment options for testosterone deficiency because you are tired of living with your Low T symptoms, then learning as such as you can about them could be just the first step in something that can have an enormously positive impact on your adult life. In researching your options, your original questions will undoubtedly lead to more questions; this would probably be the case even if only one consistent answer to all of your questions was all that was available online. However, answers to the questions that adults go online to ask about using testosterone replacement therapy (TRT) are frequently inconsistent. So how can anyone know which answers are based on medically established facts and which are not? How can you personally relate to answers that are often contradictory? This is a strong example of how the Internet has grown into a repository of information and, unfortunately, misinformation as well. Information gathering is always a worthwhile endeavor – but the quality of your source dictates the quality and relevance of the information you have gathered. There is no reason why you shouldn’t be able you ask questions such as what is the half-life of testosterone cypionate injections from an experienced and highly qualified TRT medical practitioner just as easily as typing it into your digital search bar. The obvious advantages to being able to do exactly that with Nexel Medical include finding out why the answers will be relevant to your intended use of Low T therapy. Yet anyone who is researching questions like these online because they intend to illegally obtain and use testosterone cypionate injections and become their own doctor should be forewarned: You can’t believe everything that you read on the Internet, and you definitely cannot expect the prescription substances that you have purchased from illegal online drug sellers without the required medical authorization to be safe for you to use. What’s the Effect of Testosterone Cypionate on Male Fertility? Fatherhood has been trending older in recent decades and it has made the issue of the effect of TRT on fertility relevant to men when they are at the ages when testosterone deficiency frequently develops. Men in their twenties rarely ask questions like what is the half-life of testosterone cypionate, or does using TRT affect male fertility, because men this age rarely experience Low T and its symptoms. But after the ages of 30 and older, it is entirely possible to develop a symptomatic male hormone deficiency; and it is entirely reasonable for mature men to want to know if using TRT will lead to them having infertility issues. Doctors have known for many years that TRT has been shown to suppress the pituitary gland’s production of two hormones that are needed for sperm production, which are luteinizing hormone and follicle stimulating hormone. Back when the adult patients using male hormone replacement therapy were primarily men who were older and no longer prioritizing their fertility, it wasn’t a widely publicized aspect of TRT because it just wasn’t an issue for the vast majority of patients. But in recent years, the average age range of TRT patients has widened significantly as an increasing number of men in their 30’s and 40’s have been developing Low T symptoms that are directly caused by their low normal testosterone levels. If patients in the lower end of the age range for TRT have concerns about their fertility, this is something that should definitely be discussed with their doctors before deciding to use a male hormone replacement therapy program. We are also happy to address concerns like these for any adult who wants to know the pros and cons associated with Low T therapy. At Nexel Medical, we’re not just here to provide quick answers to questions like what is the half-life of testosterone cypionate; we are also here to discuss any of your personal concerns regarding treatment for your troubling deficiency symptoms. We understand that just as every individual has their own reasons for wanting to use this medically prescribed remedial treatment, each person will have their own individual concerns and questions that need to be addressed. How Do I Know I’m Using the Right Testosterone Cypionate Dose? The correct dosing of injected medications that are going to be self-administered can be an intimidating aspect of TRT for some patients. But it is no harder to keep track of and manage than using any other type of prescription drug. It only requires three basic rules: Trust that your doctor knows a great deal more about the dosage you should be using than you do; follow your dosage instructions exactly as your doctor has directed you to; and immediately contact your doctor or clinical advisor if you have missed or made a mistake on your dosage. 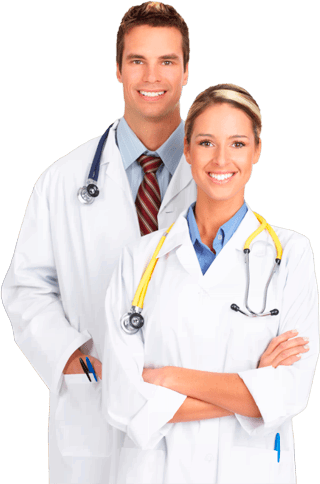 The hormone replacement therapy doctors at Nexel Medical base the dosage on each of our TRT patients on individual medical factors that pertain only to them. The extent of their deficiency is individually evaluated, as is every patient’s personal medical history and overall condition of healthfulness. In determining the correct dose of injectable treatment, for example, your Nexel Medical doctor is already very familiar with what is the half-life of testosterone cypionate as well as its other pharmaceutical characteristics. So what your doctor is focused on is the amount and frequency factors of your ideal treatment dosage, which is the one that will results in providing you with the full benefits of TRT while minimizing your risk for experiencing any adverse effects while using treatment for your Low T levels. Your response to treatment plus the results of your blood testing during your treatment are the two main criteria that your doctor will rely on when determining if any adjustments to your prescribed dosage are indicated. Patients should never change or vary from their original dosage instructions without consulting with the doctor who has prescribed it for them. But whenever our patients have questions about their dosage, they know that they can discuss them with us and that they will be satisfactorily resolved. While our doctors and clinical advisors are well versed in all of the facts that pertain to successful testosterone replacement therapy, they are also aware of the importance of providing personal and compassionate support to each of our patients. Could Where I Buy Testosterone Cypionate Make a Difference? Anything related to your TRT has the potential to make a difference on the results that you will receive from your treatment. If you purchase your prescribed treatments from a pharmaceutical source that is not legally licensed in the US … or from any type of “middleman” that is not authorized to sell federally regulated and controlled pharmaceuticals … or from a personal contact at your gym or health club … it could definitely affect the success of your treatment. Not only can you not expect to obtain straightforward answers to questions like what is the half-life of testosterone cypionate injections from illegal sources such as these; you can’t even be certain of what you are getting from them. Why would anyone risk injecting themselves with substances that could easily be contaminated, past their expiration date or even intentionally misidentified? Because these products have not been inspected and improved per US federal drug regulations, there is no way for anyone to substantiate what they consist of unless they are willing to pay for expensive laboratory testing to definitively identify them. Who needs that kind of expense and hassle when there are many fully licensed, quality pharmaceutical sources for substances such as injectable testosterone cypionate that can be easily and legally accessed online? Nexel Medical is one of those online sources for patients all across the US with valid medical prescriptions for using testosterone cypionate injections. It has been and continues to be one of the most widely prescribed and used forms of TRT because it has proven its effectiveness over the years. And because of its half-life and other specific pharmaceutical properties, it also requires the fewest number of treatments throughout a patient’s prescribed course of therapy, a fact that is appreciated by many TRT patients. Get the straight facts about using testosterone replacement therapy from hormone replacement medical specialists providers who haven’t forgotten the importance of providing compassionate support to every patient. At Nexel Medical, you’ll receive both – and this is the way to get the most from your Low T therapy.